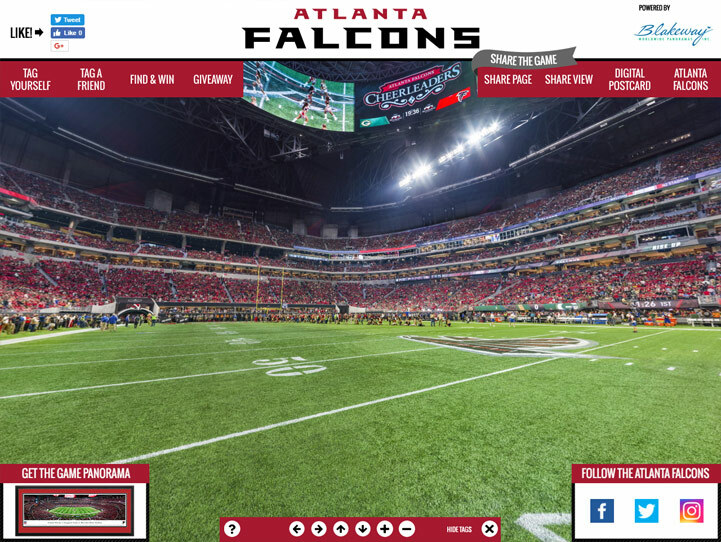 This panorama captures the Atlanta Falcons and Green Bay Packers in the first regular season game at the new Mercedes-Benz Stadium. Located in downtown Atlanta, the stadium's design was inspired by the Roman Pantheon with a retractable roof in the shape of an oculus. Floor to ceiling windows on the northeast side of the building provide an impressive view of Atlanta's downtown skyline. The inside of the stadium also includes over 2,400 HD TV screens, a 101-foot-tall mega column display and a one-of-a-kind halo video board standing 58 feet tall and 1,100 linear feet in circumference showcasing a 360-degree view and ranking as the largest NFL video board.